I have been a little bit disappointed with some of Nobunny's more recent albums, but damn is he ever a great live performer. So many of the songs which seem a little too mellow on record take on new life when he's belting them out in person. Unless you're deathly afraid of dirty kleenex you should go see him live. Soooo much fun! I knew this show would be good but WOW. 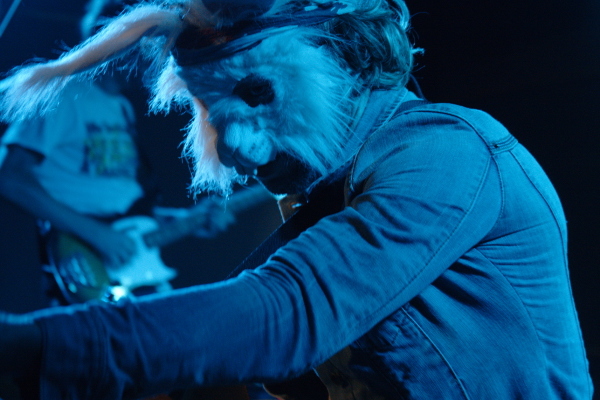 There is no question that Nobunny is one of the most energetic and exciting performers around. There are however these other questions: How did two different people manage to lose one shoe each? Did they walk home afterwards? Perhaps they split a cab? Also, who is that woman? Is she a local? If so... hey Nobunny, she lives in NYC! So when did you say you were coming back again Nobunny? 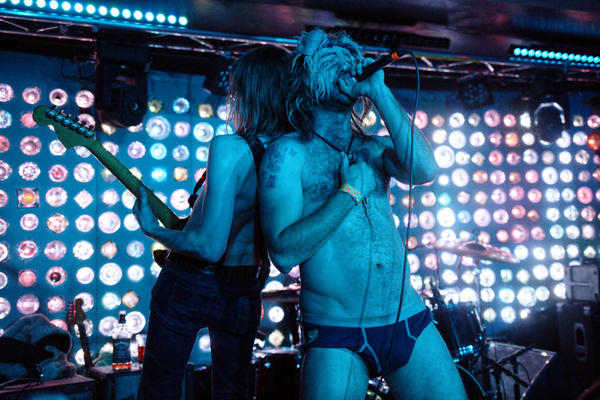 I hope these photos make it look like Nobunny's show at Cake Shop was awesome. Honestly, it wasn't. I don't know every single thing that went wrong, but three barely-working mics and several broken bottles on the floor (notice that Nobunny doesn't wear shoes) must have had something to do with it. 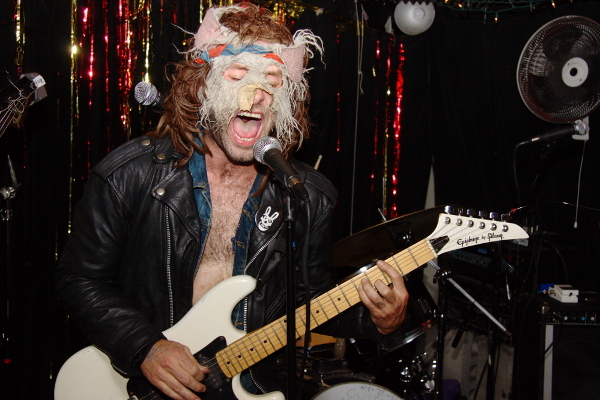 Too bad, because I have seen plenty of good performances by Nobunny, including his last one at Cake Shop.